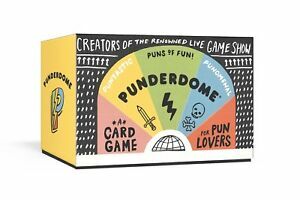 Sent this as a b-day gift to some one who loves puns, so I don’t really have firsthand experience. We played the game two days ago till 1 am. It is fun and require a lot of thinking to put words together. It is highly recommended. As I understand puns, it did not hit the mark. It was not funny or clever.